Now that cannabis is legal in Canada, we look at that other drug that many of us already have in our homes and use on a daily basis: alcohol. How did we start using it? How does it affect our health and society? And given the latest scientific research, should we still drink it? **This episode originally aired March 21, 2018. 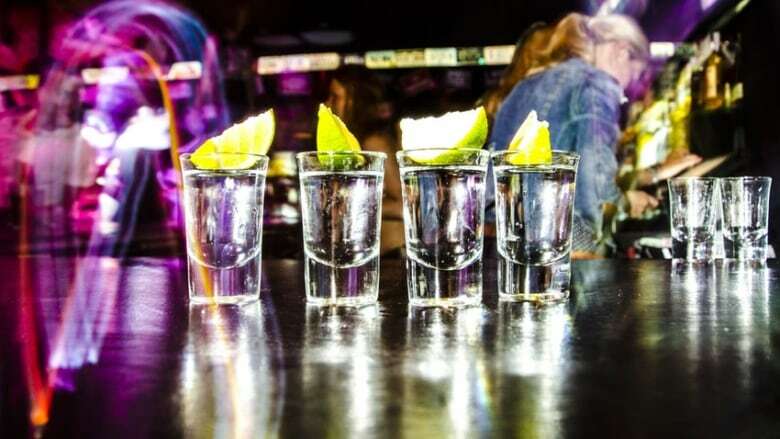 Alcohol is intertwined with human history, the earliest evidence going back 9,000 years in northern China, according to Carleton University history professor, Rod Phillips. Phillips teaches one of the most popular courses at Carleton, a Social History of Alcohol. Phillips says that until quite recently, alcohol was generally seen in a positive light. It appeared in medical preparations and advice for thousands of years, and used to treat everything from epilepsy to arthritis and depression. And until the advent of water treatment systems, alcohol was sometimes the only safe fluid people could drink. Janet Chrzan, a medical anthropologist specializing in nutritional anthropology, says alcohol was also a valuable source of calories. 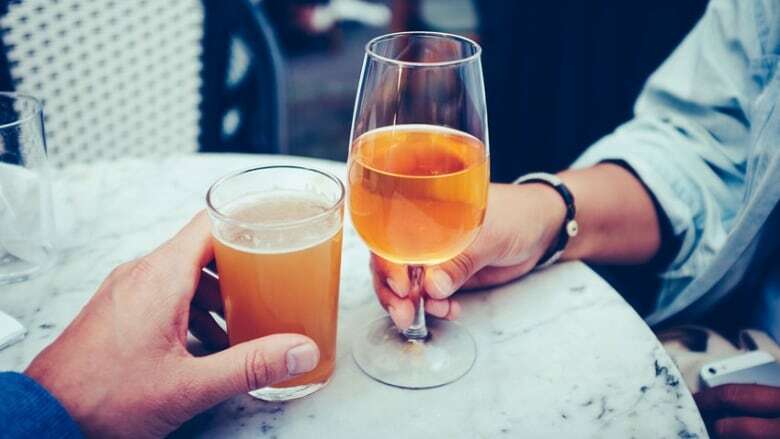 "If you go back in history and take a look at the uses of beer and the uses of wine, you see that they were integral to the dietary performance of almost every cultural group that produces beer or produces wine," says Chrzan, who teaches at the University of Pennsylvania. Chrzan and Phillips say one of the major turning points in the history of alcohol was the rise of distillation, leading to beverages with a much higher level of alcohol, such as brandy and gin. 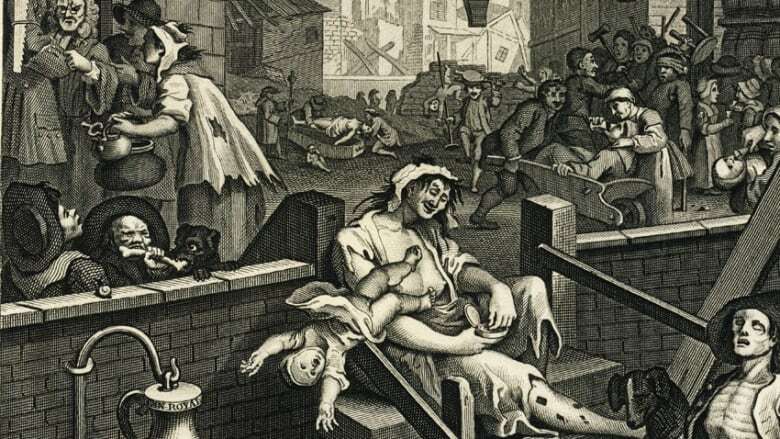 "In England there was a period in the early 1700s called the gin craze," recounts Phillips, "when people were thought to be drinking gin or binge drinking gin and there was a belief that this was very harmful to individuals and really harmful to society as a whole." Another turning point was in the 19th century, when governments started building water treatment facilities, delivering safe water to cities. "And at that point there was a question of how useful alcohol was," says Phillips. "You know we don't need to drink alcohol now because the water is safe. Why do we drink alcohol at all?" And yet alcohol was still believed to have health benefits right up until the 20th century. Even during Prohibition in the 1920s, some American physicians claimed their patients had died for lack of beer, says Phillips. However, by the late 1980s an entirely different picture was emerging. The Royal College of Physicians of London set up a working party, and established what were considered to be safe limits for the consumption of alcohol. And the following year, the World Health Organisation's International Agency for Research on Cancer declared alcohol a group one carcinogen, meaning it causes cancer in humans. Yet in 1991, just three years later, we started hearing new "facts" about alcohol's apparent health benefits. 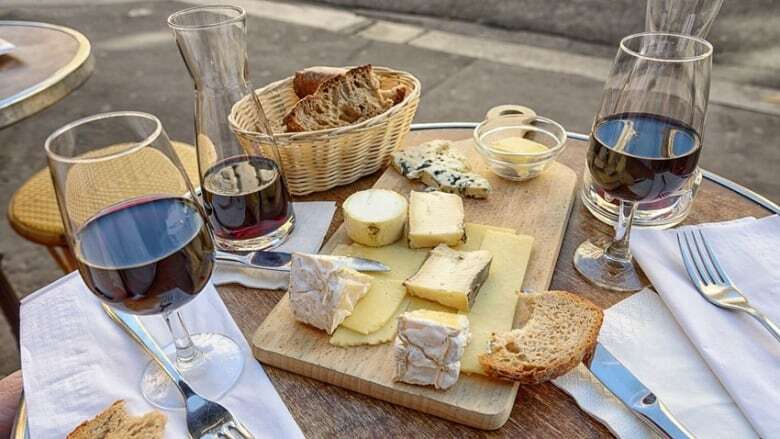 The TV program, 60 Minutes, reported on a phenomenon known as the French Paradox — that despite a high-fat diet, the French had a relatively low level of coronary heart disease. Some scientists attributed this to the French propensity to drink red wine. "The scientists involved were heavily funded by the industry, particularly the wine industry in California", says Tim Stockwell, director of the Canadian Institute for Substance Use Research at the University of Victoria, BC. "It [the French Paradox] did more for the sales of red wine, that whole story, than the end of Prohibition. It was quite remarkable. It seized the popular imagination all over the world." However Stockwell says that after analyzing multiple studies about the apparent benefits of drinking, he believes there are no health benefits to consuming alcohol. Public health officials are increasingly spreading the message that there is no safe level of drinking. You read that correctly: no safe level of drinking. And that Canada's low risk guidelines are exactly that: low risk, not no risk. Erin Hobin from Ontario Public Health says 80% of Canadians drink, about 40 percent of them at high risk levels, yet only 30% of Canadians know of the links between alcohol and cancer. "It causes cancer in humans and at least seven types of cancer, so including breast and colon as well as mouth cancer," says Hobin. Dr Alain Dagher, a neurologist at McGill University, says the increased risk of cancer or high blood pressure are minor compared to cigarette smoking. However, he says the major health outcome of alcohol is trauma. "It's the number one cause of car accidents. Most individuals who go to an emergency room with trauma, alcohol is involved: either the person who did it to them was drunk or they are drunk. It's involved in a lot of physical violence and untoward events. That's by far the greatest social cost of alcohol, and that's without even counting the effects of alcoholism," says Dagher. But Dr Dagher maintains there are still reasons to drink. "It is a major source of pleasure a relatively inexpensive. And if you don't overdo it, and if you don't drive after drinking, it's a fairly safe and easily accessible source source of pleasure. And it is a pleasure that's related to social interactions which is, in and of itself, beneficial." In 2013, an estimated 22 million Canadians, almost 80% of the population, reported that they drank alcohol in the previous year. Canadians (15 years and older) drink on average 10 litres of pure alcohol, according to the World Health Organization's report from 2017. That is less than the British (12.3 litres), Australians (11.2) and New Zealanders (10.1), but more than Americans (9.3). 19% of Canadians (12 years and older) report alcohol consumption that classifies them as heavy drinkers (five or more drinks on one occasion at least once per month in the past year for men, and four or more drinks for women), according to Statistics Canada data from 2016. 18 to 34 year olds are the heaviest drinkers - with 34.4% of males and 23.4% of females reporting heavy drinking (2016). Among Canadians aged 65 or older, 7.2% are heavy drinkers (2016). 27.9% of Canadian youth aged 12 to 17 report drinking alcohol in the last 12 months (2016). Roderick Phillips, a history professor at Carleton University in Ottawa. He teaches a course on the cultural history of alcohol, and is also a specialist in the history of wine. Janet Chrzan, a medical anthropologist specializing in nutritional anthropology, and an adjunct assistant professor at the University of Pennsylvania. Dr Richard Smith, a medical doctor, and former editor of the British Medical Journal, and a member of the Royal College of Physicians working party on alcohol. Erin Hobin, a scientist at Ontario Public Health, as well as a (status only) assistant professor at the University of Toronto in the Department of Nutritional Sciences as well as the Dalla Lana School of Public Health. ​Tim Stockwell, a psychology professor at the University of Victoria, BC, and the director of the Canadian Institute for Substance Use Research at the university. Dr Alain Dagher, a neurologist and neuroscientist at the Montreal Neurological Institute and Hospital, a McGill University research and teaching institute. His research involves studying how we learn about rewards and punishments, and become motivated to engage in reward-seeking behaviour. **This episode was produced by Alison Cook. With all the concern about opioids and marijuana are we forgetting the dangers of alcohol?